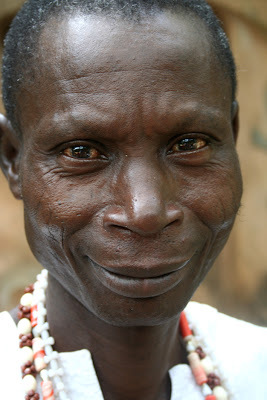 The high-priest of the Sacred Forest, Osogbo. A gentle man. We went inside the temple and prayed with him.